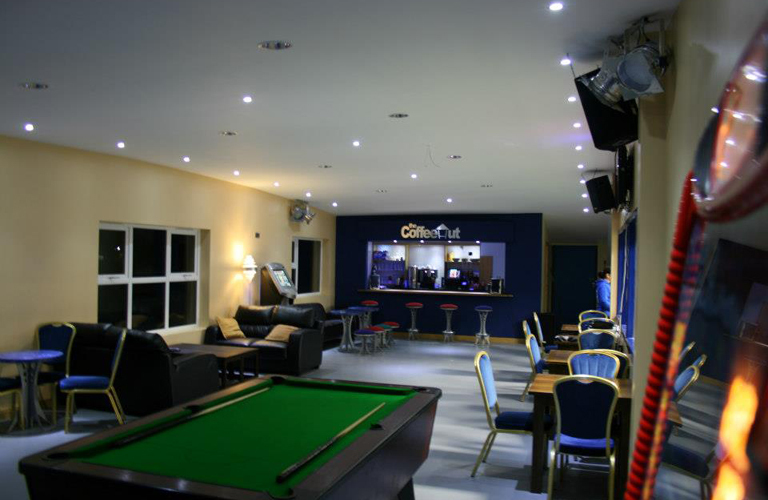 The Sports Hut, Ballymena, County Antrim. 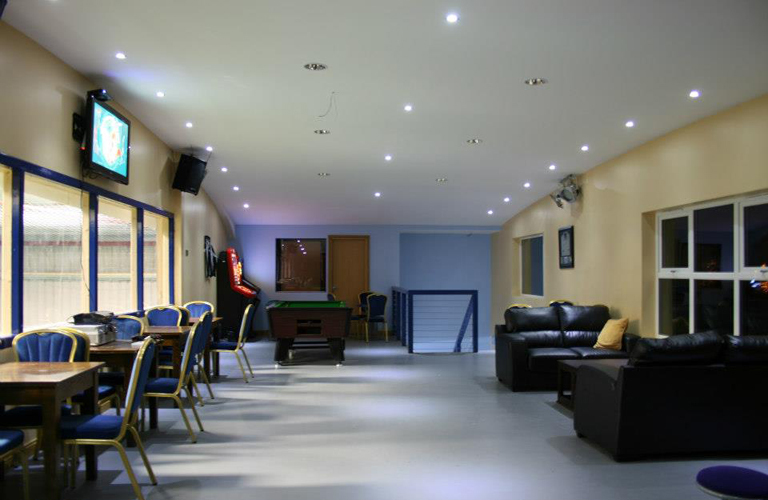 This was an existing commercial space, with a new build extension, to facilitate an indoor football pitch as a commercial venture. 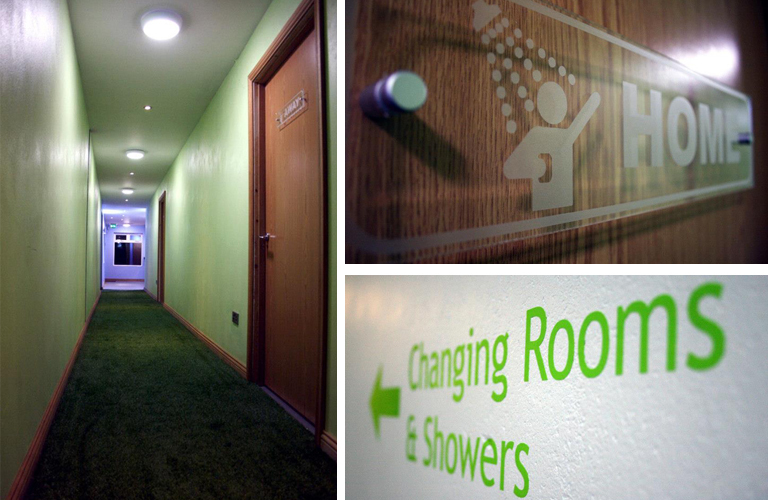 The steel framed building was designed with changing and toilet facilities at one end accessed from the reception hall. A viewing gallery with seating area and shop was designed at first floor level overlooking the pitch through large windows. 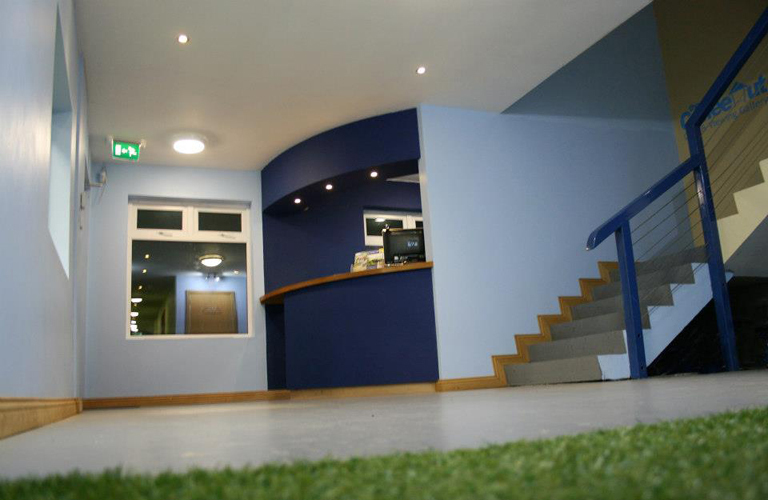 Our design brief was; using the existing commercial premises, design an extension to provide a reception area, 2 changing facilities with disabled viewing area on the ground floor. Viewing gallery and lounge with coffee shop to the first floor. 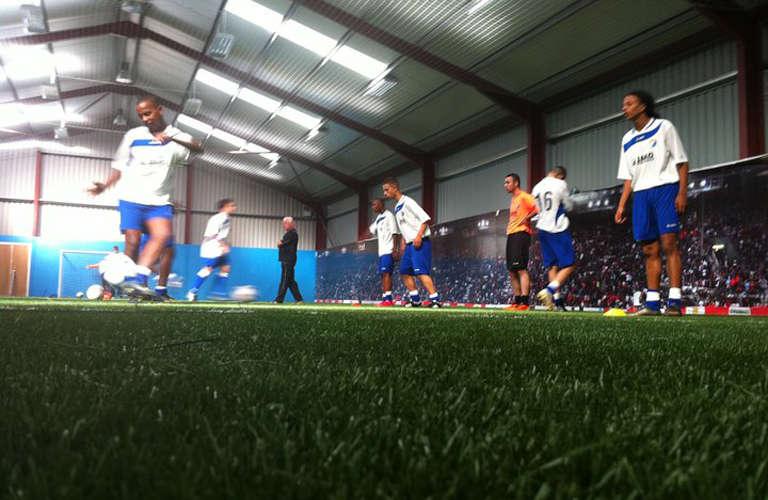 For the sports hall, we used 18mm ply around the base of the shed to provide advertising and as a safety measure. 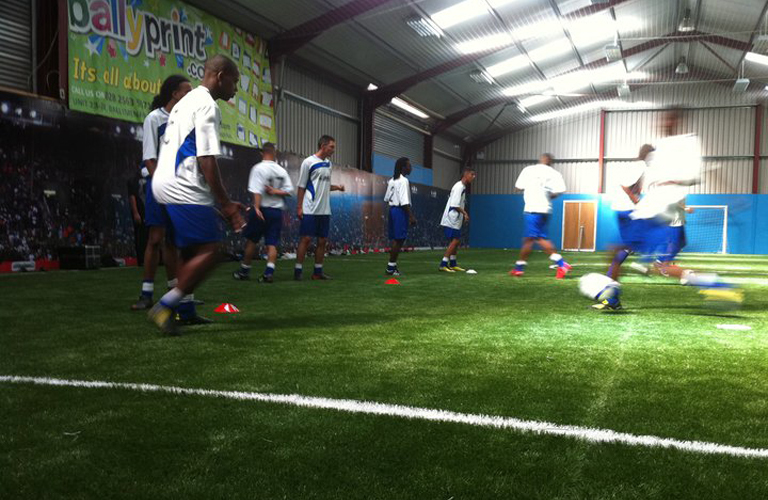 The fifth generation (5G) indoor pitch was supplied and fitted by specialist company allVendure Ltd.